Game consoles aren’t just for gaming anymore. In fact, game consoles have seen tremendous growth and consumer adoption for streaming video over the years. According to Business Insider, streaming-capable video game consoles account for 54% of the global installed base of TV streaming devices worldwide. Internet-connected smart TVs (with a 38% share), and dedicated streaming devices (like Apple TV and Roku, with an 8% share) are still in the minority. This opens up monetisation opportunities outside of desktop and laptop environments for media companies. Particularly with the growing amount of content choice on the Xbox platform, as well as the growing number of devices in market – with over 80 million Xbox owners around the world Xbox is a platform that media brands can’t afford to ignore. It is only fitting that Yahoo7, a Brightcove customer and one of the most comprehensive and engaging online destinations for Australian consumers and advertisers, has made their PLUS7 catch-up TV service available as a dedicated application on Xbox One now. Xbox One owners using PLUS7 will be able to access their favourite Channel 7 programs like X-Factor, My Kitchen Rules and Home & Away via the console. Yahoo7 already leverages Brightcove Video Cloud to power its catch-up product PLUS7 service to deliver high-quality video on demand content to audiences across desktop, mobile and tablets (iOS and Android). 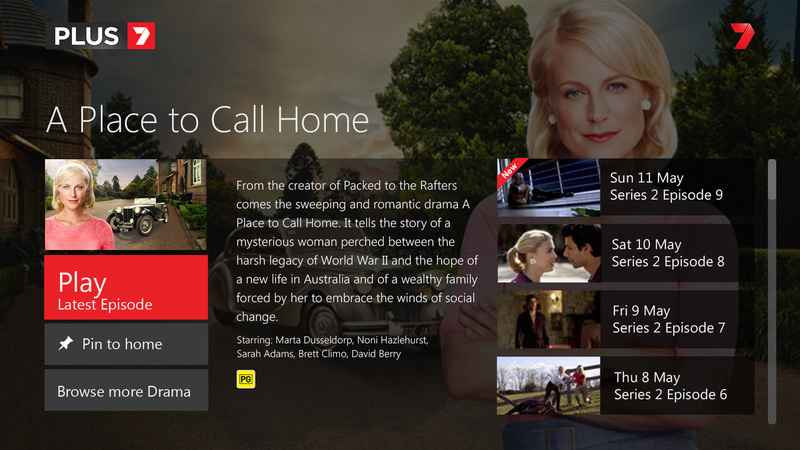 By adding the Xbox One app Yahoo7 is now able to reach a new audience. With the Video Cloud studio grade DRM solutions, Yahoo7 can ensure delivery of premium video content across devices including Xbox One while preventing unauthorized access and distribution. Thanks to Brightcove’s support of Microsoft PlayReady, Yahoo7 has been able to deliver the PLUS7 service to the Xbox community in Australia.